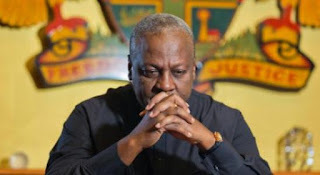 President John Mahama has allayed fears about the entry into Ghana of the two Guantanamo Bay detainees. The President says due diligence was done before the ex-detainees were allowed into the country, hence the possibility of them causing any havoc in the country is almost improbable. Speaking at a press conference to set the records straight on the suspects and other national issues, the President said the safety and security of this country remains the greatest concern and he will not take any decision that will jeopardize the safety and security of the country. “This is a beneficial relationship and I believe that we should calm the hysteria and phobia. 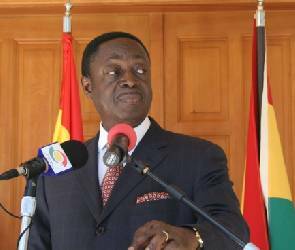 Ghana will continue to receive God’s favour and be a safe place,” he said. The arrival of Mahmud Umar Muhammad Bin Atef and Khalid Muhammad Salih Al-Dhuby for a two-year stay as part of a deal reached between the United States of America and the Government of Ghana has generated a lot of public uproar. The two, suspected to have links with terrorist group Al-Qaeda, have been in detention for 14 years after being picked up in Afghanistan. Their suspected links to this terrorist group make government’s case even worse. Many people believe the ex-detainees may be used as a conduit for future terrorist attack on Ghana. However the President says this argument is flawed. He said together with the National Security, and government of the United States, it was ensured that the two detainees pose the least risk to Ghana. “When America asked, we decided to do an assessment. America did same and gave us their risk category…it was the lowest. It has also been established that they played no operational role in Afganistan. “Our own national security visited the camp several times and conducted extensive assessment and interview of these detainees before they were brought here,” he said. President Mahama said there is no need to be alarmed since the ex-prisoners will be under a 24\7 surveillance and cannot plan anything sinister under the watchful eye of the security agencies. In any case, having them in Ghana gives the country an opportunity to monitor them and this will be done with the help from the US government, the President noted. “We took this decision after a lot of assessment and consultation and the point about terrorism is that what you should fear is what you don’t know not what you know. “Indeed, any Ghanaian is more in danger of dying from road accident than from these Guantanamo detainees because they are with our security service and they are under surveillance. What we should fear is someone coming in to create havoc,” he added. According to the President, all the two detainees want is to live a normal life and Ghanaians should be compassionate enough and assist in making this desire possible. Although the president is certain that Ghana is under no terrorism threat, he said the various security agencies are being trained to be able to deal with any situation of such nature in case they do occur. “I have assessed the risks involved with the detainees and I believe that our security is not endangered because they are in our country. Several countries have done it and I do not think that we should feel ashamed for doing it,” he stressed.